What Does Taking Communion “Unworthily” Mean in First Corinthians Chapter 11? I’m trying to explain this to a friend but I think I am missing something. Adverb from G370; irreverently: – unworthily. In other words, it means taking Holy Communion without proper respect or due reverence for the reason we take it, i.e., without proper esteem for the Lord and for what He’s done for us by giving His body and blood for our sins and transgressions. We’re supposed to take communion as a demonstration of our faith in Jesus Christ and in the purpose of His crucifixion, death and resurrection, which brings us healing (both spiritual and physical) and salvation through the redeeming blood payment for our sins. In Paul’s time, some folks, apparently, were just showing up for the free bread and wine, and the feast the early Christian church members might have afterwards. So they were participating in the communion service for purposes other than what it’s designed for. They weren’t coming “to shew [i.e., proclaim/memorialize] the Lord’s death till he come,” but instead, to play church with everyone and to get some free food out of the deal. Their focus wasn’t on what the Lord has done for us in giving His life on that cross and then taking it back up again in the resurrection, giving us the right (through faith in Him) to be resurrected, as well, when we pass on. Instead, their focus was on playing church and getting fed. That means, when we take communion, we’re doing so in remembrance that His blood was shed for the forgiveness of our sins (i.e., “he bare the sin of many — Isaiah 53:8-12), and His flesh was broken for our healing (i.e., “with His stripes, we are healed” — Isaiah 53:5; I Peter 2:24). When 1Corinthians 11:29 says, “For he that eateth and drinketh unworthily, eateth and drinketh damnation to himself, not discerning the Lord’s body,” the above verses explain what “discerning the Lord’s body” means. It means understanding why He gave His body and blood for us, what the purpose of it was (redemptive payment for our salvation and healing), and what He had to go through in order to bring it all about for us. So, we can read those verses, and examine ourselves to see if we’re on the same page with Him. This, in turn, makes us want to proclaim His Word to others, since He’s done so much for us. 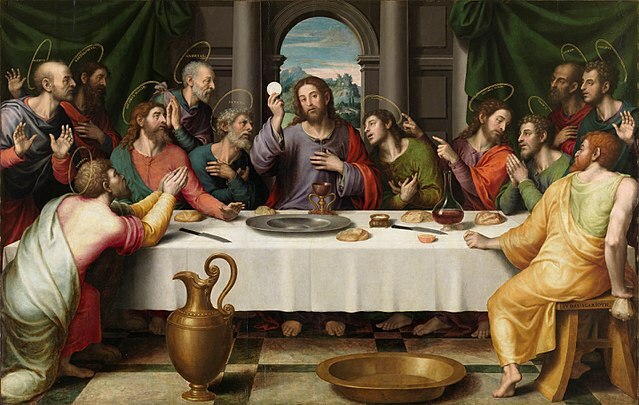 If we’re taking communion for any other purpose than to remember His great act of redemption for us, and to be grateful for the spiritual (and physical) healing He provided, and to show our faith in His crucifixion, death, resurrection and Second Coming, then, we “eat and drink damnation [judgment] onto ourselves,” meaning God puts us into the same category as sinners who are going to hell. Keep in mind that even today, there are Christian denominations which actually disbelieve the divinity of Christ, claiming He was merely a “just and holy man” with “good teachings” we should listen to. So when these folks take communion, God is not in the least bit happy with them. They’re basically unbelievers, playing church. The Holy Communion is a mere church ritual to them. They don’t discern the Lord’s body, meaning they don’t really understand, or even care to understand, the entire point of the Holy Communion. The bottom line is that some people just do communion because it’s part of what they think you’re supposed to do if you want to play church and run with the religious crowds. They don’t recognize the actual reason for communion. It’s just a part of their religious rituals. They do it mindlessly, not heeding the reason for it. So there’s no true understanding in them regarding what the Holy Communion really means and why it’s to be taken. Which means there’s no true reverence and respect and esteem for the Lord in it. As a result they’re deprived of receiving any healing or any salvation from it (1 Corinthians 11:29-30). They don’t know it, but they’re actually eating and drinking damnation unto themselves. Bottom line is this: Don’t play church. Christianity is the eternal reality. And we have to take it seriously.